Ranking seventh in the populous metropolitan cities of India, Chennai is the heaven of investment. In Chennai, investing in an intangible asset like real estate is always appreciated. Investing your savings in real estate is always safer than subjecting your saved money to the whims of falling stock market. Owning to the continuous increase in population the city is witnessing real estate development in a larger scale. The number of immigrants coming to Chennai from other part of the country increases every year, thanks to the new employment opportunities. With an increase in inflow of residents the rental flats in Chennai is in high demands. In this situation, buying a flat and then renting it out seems to be an attractive investment these days. Since rent prices are likely to rise over time, the rental income will always serve you. 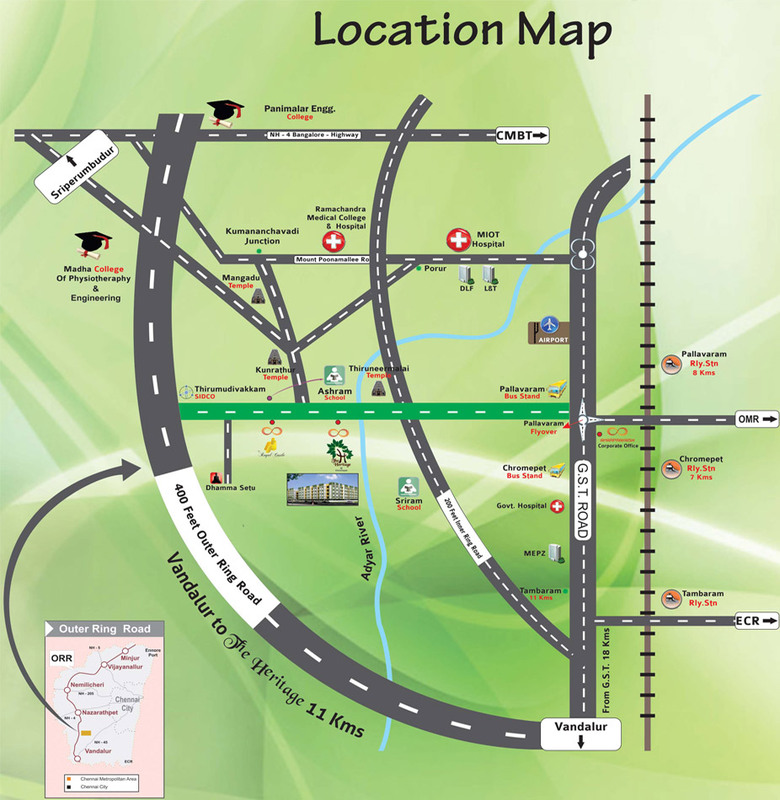 One of the best apartments in Chennai where you can invest is the Heritage in Chromepet. These Heritage flats are definitely the best rental flats in Chrompet. The apartments in Heritage are constructed not just based on the primary requirements including quality, comfort and proximity but also satisfies luxury. These flats offer maximum amenities to its residents. The Heritage apartments are sure to give a quality living and people looking for rental flats in Chennai will take up these homes with no second thought. Heritage is buyer budget friendly; the flats in Heritage also cater to the budget requirements. Even people who live or work in other nearby areas will find Heritage interesting. No doubt for anyone looking for rental houses in Tambaram will also find Heritage attractive. Make a brilliant investment today, buy an apartment in Heritage and turn it in to the best rental flat in Chennai and stand out from the rest.